Choosing the right CPU for the job is critical, but that’s easier said than done because of how confusing CPU generations can be. In this article, we explain the differences between the most common CPU generations from Intel, the largest CPU manufacturer in the world. Ivy Bridge (3rd generation): The successor to the Sandy Bridge generation of Intel Core CPUs, the Ivy Bridge generation is based on the 22-nanometer manufacturing process while retaining backward compatibility with the previous generation. Haswell (4th generation): Just like Ivy Bridge, Haswell is also based on the 22-nanometer manufacturing process, but it’s heavily optimized to achieve better power consumption and performance. Skylake (6th generation): Following its tick-tock manufacturing and design model, Skylake further improves Broadwell’s 14-nanometer manufacturing process to offer better performance and lower power consumption. Kaby Lake (7th generation): Breaking with Intel's famous tick-tock manufacturing and design model, Kaby Lake is produced using the same 14-nanometer manufacturing process as both Broadwell and Skylake. Coffee Lake (8th generation): Still sticking with the 14-nanometer manufacturing process, Coffee Lake is yet another architectural refinement, following Broadwell, Skylake, and Kaby Lake. Coffee Lake Refresh (9th generation): Recently, Intel unveiled a new series of 9th Generation Core processors, which improve the Coffee Lake architecture by providing bug fixes, performance improvements, and more refined voltage to frequency curves, among other things. As you can see, some Intel Core processor generations differ more than others, but newer generations always offer better performance and power consumption than older generations. But as if to make things more confusing, Intel uses a completely different CPU generation naming scheme for its server processors. Intel Xeon aimed at servers and workstations. For example: Intel Xeon E3-1240 v3 or Intel Xeon E5-2699A v4. The numbering system is an alphanumeric representation of product line, product family, and version. Intel Xeon Scalable: The most capable Intel Xeon processors out there, delivering unparalleled scale and performance for compute, storage, memory, network, and security. For example: Intel Xeon Silver 4110, Intel Xeon Gold 6138, or Intel Xeon Platinum 8180. The processor numbers are categorized in four-digit numerical sequences, and they may have a prefix to indicate power and performance. Generally, a processor class or family with more features is indicated by a higher number, while additional numbers or letters may further specify the exact type of the processor. What’s the Difference Between Desktop and Server CPUs? Desktop CPUs are aimed at regular computer users, and they typically come with onboard graphics and support for overclocking. 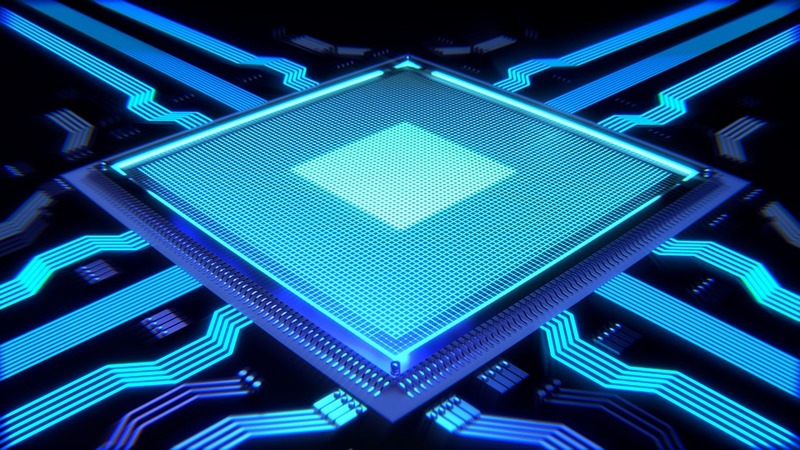 Server CPUs are designed with maximum reliability in mind, which is why they are designed with continuous operation in mind and support Error Correcting Code (ECC) memory, which is a special type of memory that can detect and correct the most common kinds of internal data corruption. The best Intel Xeon CPUs today feature as much as 28 cores and 56 threads, putting their desktop counterparts to shame. What’s more, server CPUs can be used in multi-CPU configurations to get the most performance from a single server rack.